With Ethan on the verge of turning 20 months old (omg...seriously only 4 months away from 2...how does this happen???) I figured it was time to finally review his 19 month of life. A lot of things have happened in our lives this past month as a family. We have moved and traveled quite a bit. I've seen a few residual effects on Ethan (waking up more at night, being a cranky car rider) but for the most part he's handled all of these changes like a champ. This has probably been one of the most difficult months, but one of the most fun all at the same time. 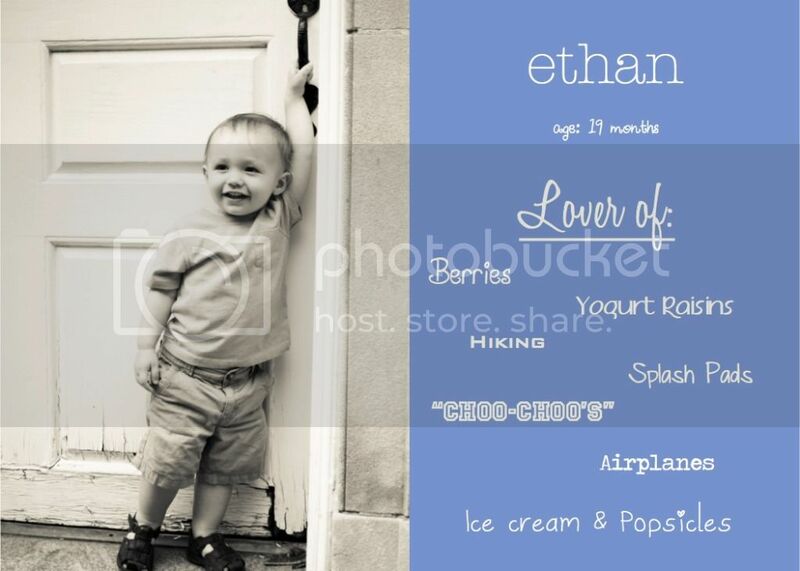 Ethan's energy is constantly up which can make certain things difficult (aka eating out) but at the same time he is always up to do something fun. The days I keep him out and about tend to be our best. If only I could bottle his energy and have some for myself I think all would be right in the world. I love his fearlessness and his sense of adventure. He has also started cuddling even more with his mommy at night. He's becoming more verbal every day and I have to say life is so much easier when he can tell me specifically what he wants or rather in his words "needs". He is so cute!! Any plans for the 2nd birthday yet? We are turning the corner to two far too quickly, aren't we?! Happy 19 almost 20 months to Ethan! It's been so fun to watch our little boys grow. They have come into their own little personalities! Such a great smile! He's getting so tall! Happy almost 20 months to the soon to be big bro!